Mother’s Day is the biggest holiday of the year for 1-800-Flowers. They’ve historically run direct response campaigns and were looking to test new ways to differentiate the brand from the influx of new competition into the market. They reached out to Influencer Connect to come up with a solution. Influencer Connect has a pre-vetted network of over 3,000 content creators, spanning blogs, social and YouTube, and we decided that the correct approach would be to bring in a combination of influential mom bloggers and a few influential family YouTube channels. 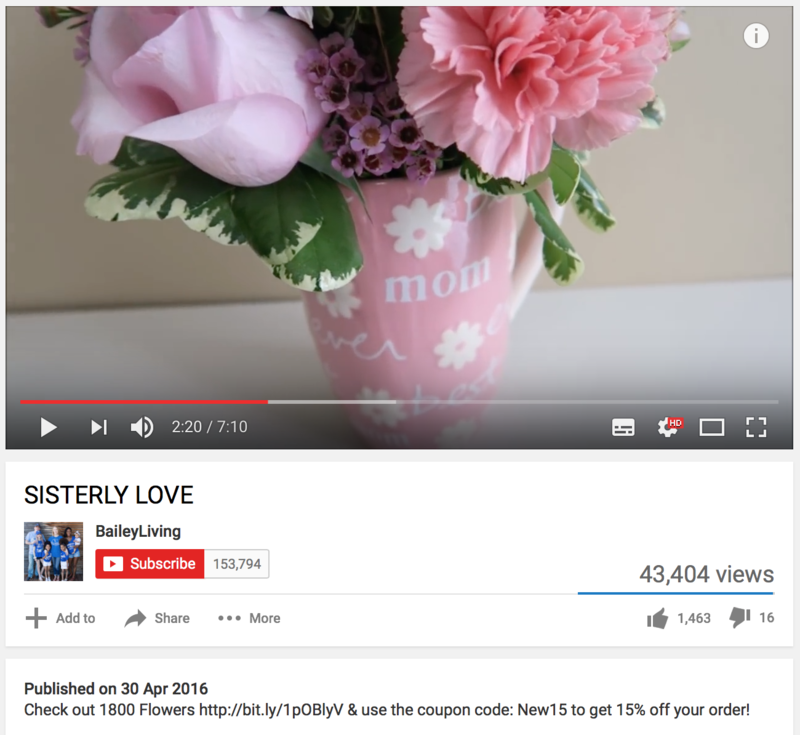 The mom bloggers had between 100K – 2.5mm monthly page views, and the YouTubers averaged 225K subscribers. Authenticity and storytelling work best in today’s market and so we had our influencers personalize a story about a mother, whether it was their own, the mother of their children, or even grandchildren and share this with their audience. The beauty of influencers is their audience knows who they are and their backgrounds, making this approach fit seamlessly into the content creator’s regular content. Our campaigns are typically measured over a 30 day flight; however, 1-800-Flowers wanted to only execute this campaign over the week leading up to Mother’s Day starting on Monday, 5/2. Despite to extremely short flight, we delivered stellar results. The blog posts earned over 26k impressions resulting in over 320 hours of content consumed on that channel! Over 120 people left comments across the 15 blog posts. YouTube was a big part of the plan and hit a homerun. The three Vlogs earned over 90K views in the six days leading up and links in the description earned over 1,100 clicks. The CTR was an impressive 1.25%. On Twitter, the campaign reached over 500k people from the influencers followers. This content was retweeted by their followers 375 times which further expanded the reach tremendously.